Yay! 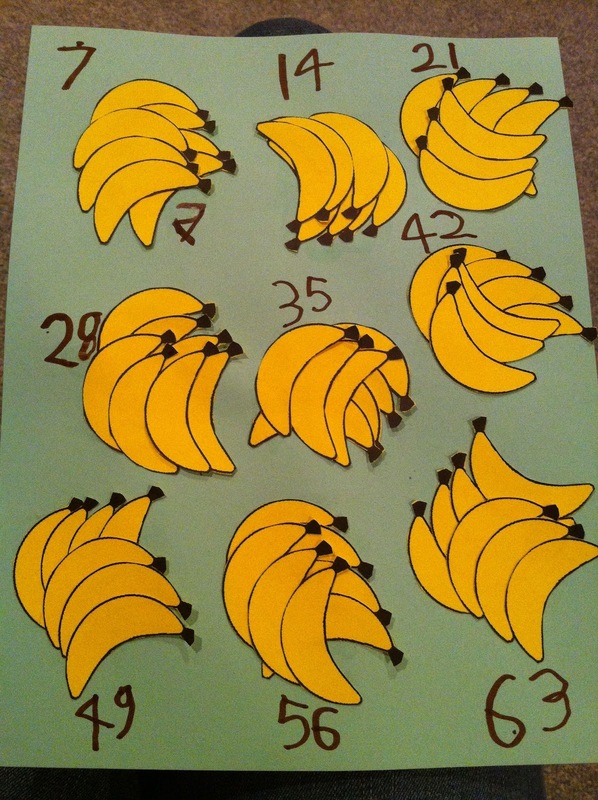 We have the 7's SEVENS sevens sevens memorized thanks to banana bunches. The 6's were apple slices. (See here.) 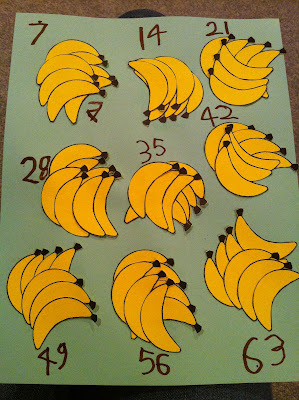 We are memorizing these multiplication facts fruit by fruit.